Need help? For GLBT information and referrals, call 907-258-4777 or 888-901-9876. Hours: 6-11 PM, seven days a week. The State of Alaska Dept. of Health and Social Services regularly updates a comprehensive list of resources including hotlines and crisis lines and posts the information on their website. Scroll down to the bottom of the Division of Behavioral Health website, and look for the Alaska Mental Health Board Resource List under the heading "Self Help Resources List." 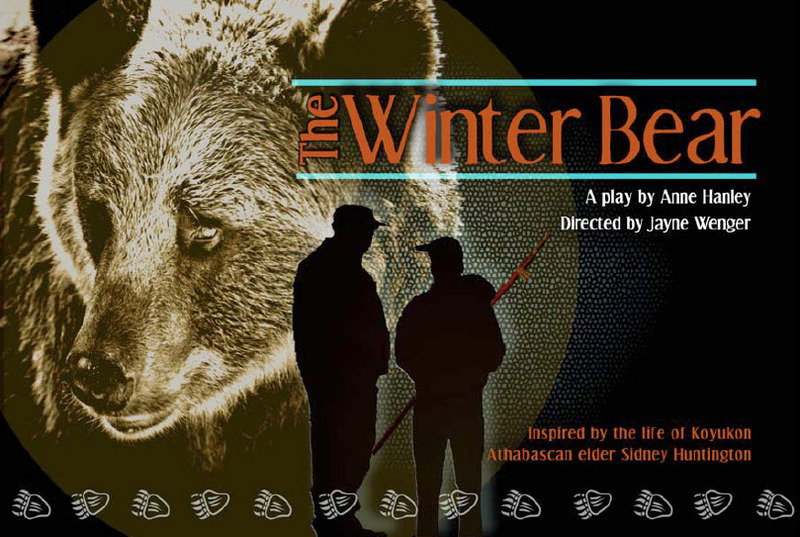 Thank you for all coming to show your support for the play "Winter Bear." During my early life, young people taking their own life was unheard of. The culture has changed and the way of life has definitely changed. The elder of those days taught the younger generation how to survive off the resource that the land provided. It has been my sole goal to try to help educate young people to meet the challenges ahead of them to survive in this continually changing world. Education is the key to survival and to the prevention of suicide. You, the young people, you are the future of this country. We need you. You were put on this earth for a purpose. Life will be difficult at times but those times will pass; your elders are here for you and want you to choose life. God Bless you all. Again, Thank You.